BDRC offers Nucleic acid (DNA & RNA) extraction from various sources like bacteria, fungi, yeast, plants, animal tissues, hairs, blood samples, etc. by using standardized methods. We implement the most accurate and standard operating protocols w ith a well proven ability to generate high quality DNA, RNA free of PCR inhibitors and other contaminants. Polymerase Chain Reaction, invented by Sir Kary Mullis, is the heart of the Recombinant DNA technology which is necessary for the detection/identification of gene of interest. BDRC is providing the wide variety of services in various types of PCR like Nested PCR, RT PCR, Inverse PCR and Multiplex PCR at affordable costs. We here use the optimal conditions to prevent the contamination issues in PCR to get a purified PCR product which will be further used for Cloning, transformation and sequencing purposes. Knowledge of DNA sequences has become indispensable for basic biological research, other research branches utilizing DNA sequencing, and in numerous applied fields such as diagnostic, biotechnology, forensic biology and biological systematic. The advent of DNA sequencing has significantly accelerated biological research and discovery. The sequenc e of DNA encodes the necessary information for living things to survive and reproduce. Determining the sequence is therefore useful in fundamental research into why and how organisms live, as well as in applied subjects. We at BDRC offering the sequencing services for the specific genes amplified from the plant leaves, seeds, animal samples and pathogenic microbes using the ABI3100 Genetic analyzer. The sequencing will help to identify, diagnose and potentially develop treatments for genetic diseases that frequently appear in living beings. DNA, the genetic material present in all living organisms is unique to each individual like fingerprints. To evaluate the genetic makeup of an organism, the DNA should b e mapped using a technique known as DNA fingerprinting. We at BDRC are offering the DNA fingerprinting studies for Plants, microbes and animals using RFLP, RAPD, ISSR and SSRs. Genotype describes the genetic constitution of an individual i.e. the specific allelic makeup of an individual, usually with reference to a specific character under consideration. Non-hereditary DNA mutations are not classically understood as representing the individuals’ genotype. Present era Scientists and doctors need the genotype for the most correct investigations of the genetic disorders for example about the (geno) type of a particular cancer, which is the genotype of the disease as distinct from the diseased. 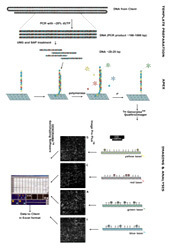 BioAxis offers the most cost effective Illumina Microarray Analysis service to help client to obtain biologically and clinically meaningful results using Bead chips. 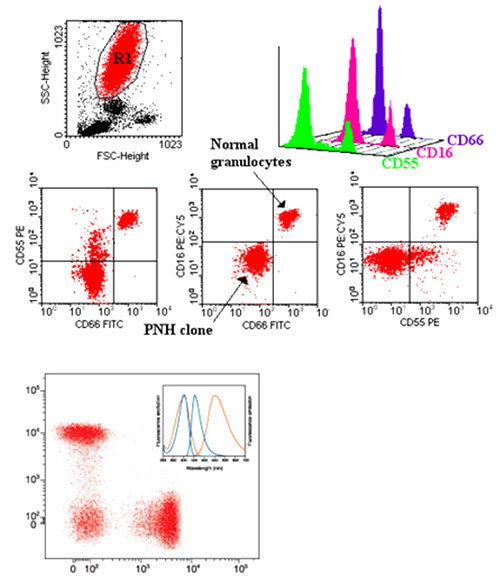 Flow cytometry is a technique for counting, examining, and sorting microscopic particles suspended in a stream of fluid. It allows simultaneous multiparametric analysis of the physical and/or chemical characteristics of single cells flowing through an optical and/or electronic detection apparatus. We offer Flow cytometry services to analyse cells or cellular components for a wide range of morphological characteristics. The Biorepository Core is designed to collect, process, and distribute large numbers of high quality research specimens quickly and efficiently. 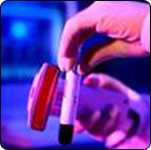 Primarily, human DNA from whole blood along with other human specimen types are collected, processed, stored and later distributed to support a large number research studies. Other specimen types include; cells, RNA, serum, plasma, tissue, and others. Samples can be stored as anonymous, identifiable, or identified. We can also supply sample collection kits complete with accession sheets and matched barcode labels. Maintain confidentiality of each case, test and result using strict communication protocols.